What’s “Special” About Special Elections? A new bill would limit special elections which have contributed to Arkansas having the third highest average sales tax rate in the country. HB1402 was approved by the House Committee on State Agencies and Governmental Affairs February 13. The bill was amended twice after approval, and it currently is waiting to be heard in that committee again for approval with the amendments. ACRE program and research assistant Aaron Newell’s op-ed, “Not So Special Elections” on this topic was published by Arkansas Business on March 11th. Why does this matter? Because special elections often have extremely low voter turnout. When sales tax votes are held at the same time as a general election, voter turnout is higher — about 44 percent on average. When elections are held at “special” times, voter turnout averages less than 19 percent. 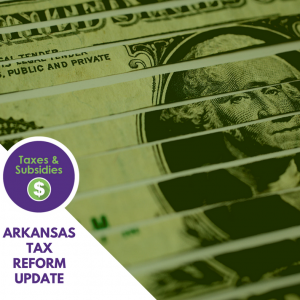 The pass rate for sales tax increases is 76 percent in special elections but only 46 percent in general elections and 61 percent in primary elections.